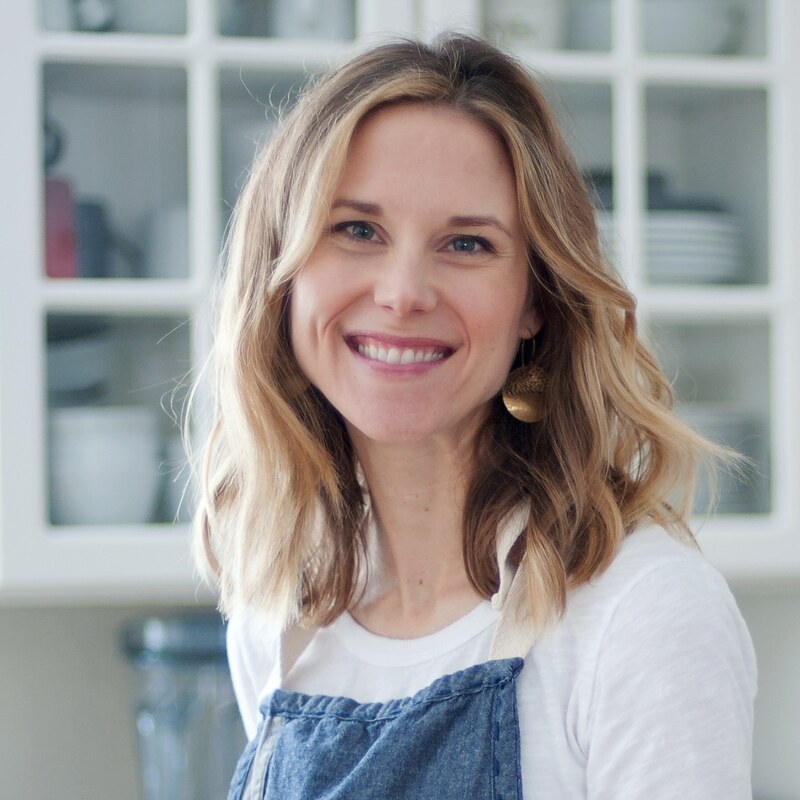 On this week's episode, we get to chat with Nicki Sizemore of From Scratch Fast, all about the food processor. We get into the history of the food processor, the design of the machine, and how we can use it in our home more readily. We learned SO much. Plus, we chatted about all the good food in her cookbook, The Food Processor Family Cookbook, and we're drooling! Head on over to Instagram @hungrysquared for a contest to win one of her cookbooks. Then, we help our Food Fight listener figure out how to vacation with her non-foodie friend. Sharon scored several boxes of Bhakti Tea, a sparkling tea, at the Everything Food Conference because we're local! Winter was inspired by the Kokonut Grill's kalua pork to make her own kalua pork using this recipe from Rasa Malaysia. It was her first time using liquid smoke! We're so excited to have Nicki Sizemore from the blog From Scratch Fast and her book The Food Processor Family Cookbook to talk all about the food processor. 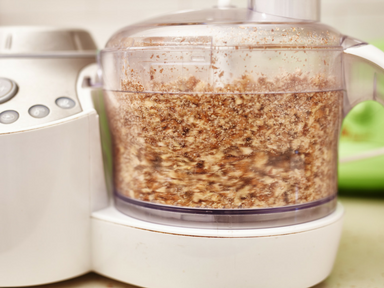 Tip: Make your food processor accessible and you'll use it more! It's a helpful kitchen assistant. History: Pierre Verdon created the Le Magi-Mix, the home-version of the restaurant version, the Robot Coupe. Carl Sondheim then introduced the home version, the Cuisanart food processor, through food influencers such as Julia Childs and James Beard. James Beard even wrote a cookbook for the food processor! What is the different between food processors vs blenders: A food processor has a wide base, so you don't need to add liquid to cut things up. Plus, the three main parts--the S-blade, the shredding disk, and the slicing disk--will do the trick. It's easy to make a pie crust in your food processor! Remember, don't go too far--when it looks shaggy, then that's when you need to stop mixing. Nicki has a 3-cup and a 14-cup Cuisinart food processors and they can pretty much do everything you need to do in the kitchen. Simplicity is the best! Nicki loves her 2-button processor. In the 60s, the food processor was perfect for French food (broccoli mold?). Food habits shifted, and now the food processor is popular in the vegetarian and raw food trend. Tip: Place a piece of tape on the front of the bowl and the lid, so it matches up. Don't use the mandolin--they're a tool of death! Use your slicing blade/disk. Use it to make a gratin with either potatoes or butternut squash. We're gonna try slicing the Creminelli salami in our food processor. We mentioned a trick to remove the casing that Cristiano Creminelli and you can hear about it in this episode. You need to try making baked goods in your food processor, such as this Carrot Cake Muffins. Winter has a Crystalized Ginger Chocolate Chip Banana Bread recipe and we talk through how to do that. We go through each section of the cookbook, and the "Nice" Cream section sounds great. I want to make more soft serve-like banana ice cream! And chocolate sauce! Nut butters are tasty in the food processor. Don't fret when the nut butter start to ball up, and it will eventually start looking glossy. Thai Ginger Soup, Shrimp Tacos with Pumpkin Seed and Spinach Pesto, Grandma's Banana Bread, and Chicken Kabobs with Coconut Peanut Sauce from her cookbook sound amazing! 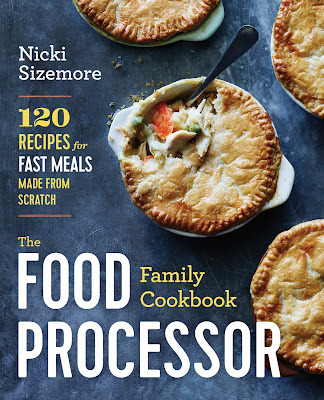 You can find her book The Food Processor Family Cookbook on Amazon and at some Barnes and Noble. We are excited for Nicki's upcoming book on power bowls next year too. More to come! Sign up for her newsletter here. Go here to enter our Instagram contest to win one of two signed copes of the The Food Processor Family Cookbook. We help our Food Fight listener figure out a compromise while on vacation with her friend who isn't into food like she is. We've got a listener survey out now and T-shirts coming soon (at the end of the month)! Sponsors: Our sponsor for today's episode is our friends at Zip Schedules, an online employee scheduling software and app, for our small business and restaurant owners out there. It makes making a schedule and communicating with your staff a piece of cake. It's especially ideal for those in the hospitality industry!